While going zero-waste or plastic-free can seem an almost impossible task, it doesn't have to be. There are multiple ways you can reduce your waste at home and do your part for the planet. Try starting with what may come easiest to you, and press on through these tips. Every little step makes a difference. 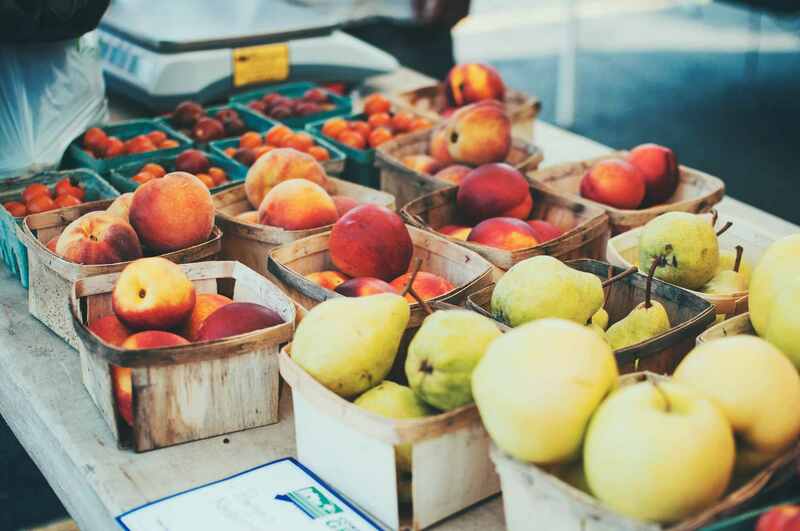 Check out your local farmers markets for fresh produce that doesn't come in plastic wrap. This will help you not only cut down on single-use waste, but also is a great way to support your local community. If you have your own vegetable farm, even better! You can also sell your produce if you have any spare. It's estimated that the U.S. uses around 500 million straws a day. These can easily end up in the ocean and are harmful to marine life. Luckily, there are many plastic free alternatives for straw-fans, so you don't have to give them up for good. Try investing in a metal straw for a stylish alternative, or paper straws for your next party. If you or someone in your household has a disability that requires a straw, skip this tip. There are plenty of other ways you can cut down on waste without compromising accessibility. The average plastic bag is only used for 12 minutes, but takes at least 500 years to break down in landfill. This is reason enough to ditch the plastic bags and remember to bring reusable bags to the store. A tote bag has evolved way beyond simply being sustainable alternative. They're downright status statements now. Snag yourself one from your favorite brand or bookstore. Or, for expert-level points, try making one. Composting is not only a great way to cut down on food waste, but it also has many benefits for your garden. Try composting for better soil, healthier plants and, more importantly, a healthier planet. Because reducing waste can actually look super cute in your kitchen. 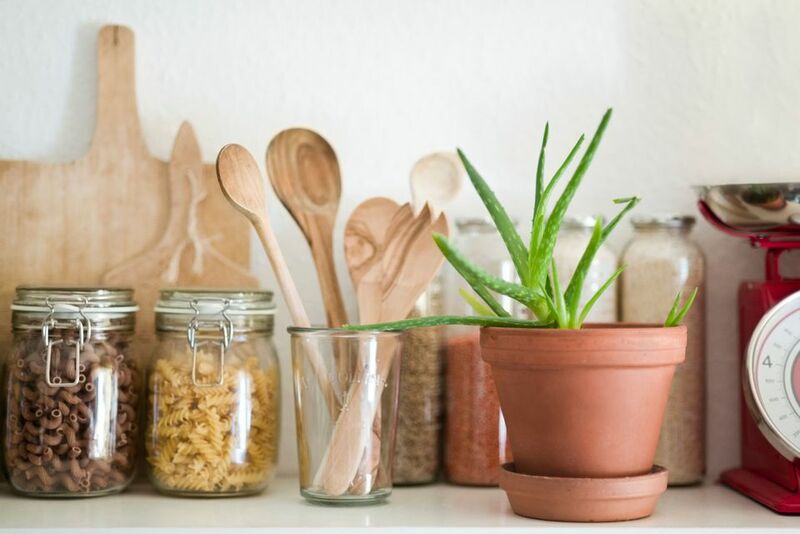 Invest in glass jars and containers to organize your pantry into an eco-friendly dream. Not only will you never lose something in your fridge again, but also can bring the jars and containers straight to your grocery store to stock up on bulk goods. The EPA estimates that 43% of plastics in the US waste stream are containers and packaging. Consider swapping app-order for dinner ideas that take less than 30 minutes to make. If you're really not in the mood for cooking, try eating at the restaurant or, at the very least, check off the option to skip the plastic utensils and containers. While cutting down on single-use items is a better way to reduce waste, recycling is the next best thing. Whatever the object and whatever it's made of, chances are there's a way to recycle it properly. Learn how to recycle the items in your home and you'll barely need to use your trash bin. If something's not recyclable, buy a recyclable option next time (wherever possible). You don't have to be a sewing expert to repair torn clothing or even broken jewelry. You'll get more for your money and be able to keep that favorite pair of jeans for longer than expected too. You can even get creative and repair with embroidery for clothing that gets an upgrade from a rip. Cleaning and beauty products can easily pile up and add a large amount of single-use plastic to your home. Try going back to basics by making your own soaps, cleaning products and beauty goods. There are plenty of recipes to choose from and making them is really fun. You can even make eco-friendly face scrubbies to replace your cotton rounds. While other things may be a little harder to cut down on, this one's super simple to pull off. Trade your plastic bottles for your choice of reusable water bottle, metal, glass or plastic, to help cut down on the 1 million plastic bottles that are purchased globally per minute, 91% of which won't be recycled. Water bottle monogamy may be different, but you two will be so much closer because of it.